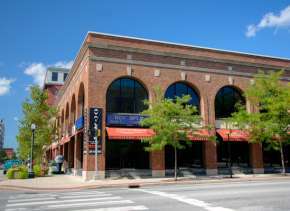 As Indiana's second largest city with over 250,000 citizens, Fort Wayne is a growing and progressive city, but we haven't forgotten our roots. Hoosier Hospitality is evident every day in our community, where everyone from venue staffs to restaurant owners treats visitors as if they were our own. 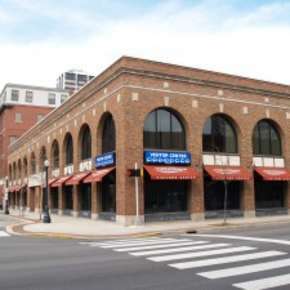 The Grand Wayne Convention Center Hosts, known as the "Green Coats," were awarded the 2011 Hoosier Hospitality Award for their exceptional achievements in greeting visitors, assisting planners and attendees on-site, and helping answer Fort Wayne questions. Additionally, the Grand Wayne Convention Center staff averages 14.5 years of service, showing longevity and dedication to the industry. 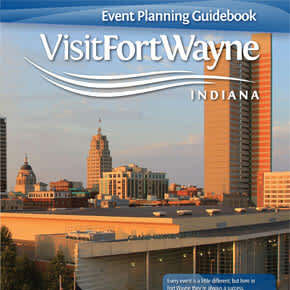 Visit Fort Wayne's Services Department works one-on-one with meeting planners, providing detailed information from restaurants, theaters and museums, to transportation, unique off-site venues and VIP treatment and more. We assist in making your event the best it can be. Need help presenting a bid to your board? 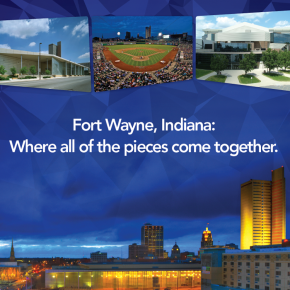 Visit Fort Wayne provides all the necessary tools and strategies to help you bring your meeting to Fort Wayne, including photos, videos, city information and much more.